I have probably eaten more salads in the past few months than I have eaten in the past few years. We eat A LOT of salads. We’ve had a few misses, but for the most part, we’ve tried a ton of great salads. There are two recipes from The Conscious Cleanse book that Evan and I both agree are amazing: Italian Chopped and Niçoise. We try not to eat these every week, but it’s very tempting! 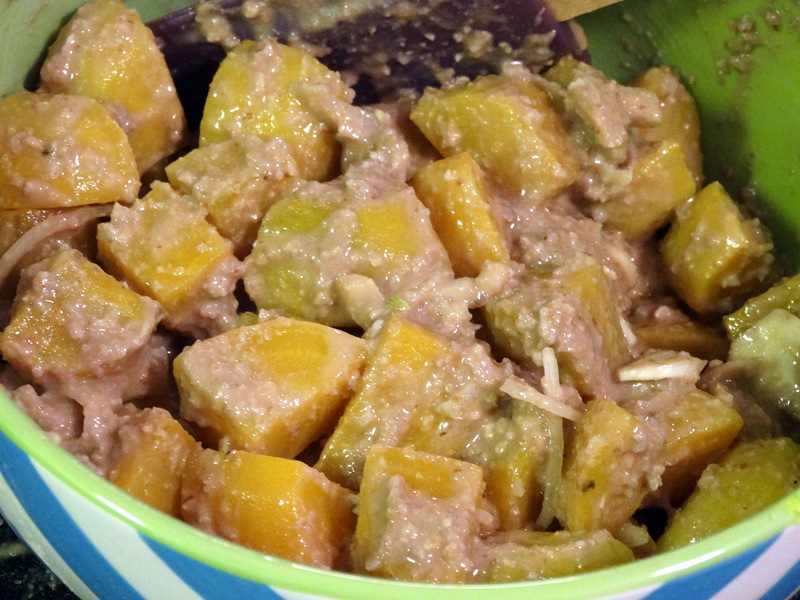 My favorite salad from the cleanse cookbook is the Golden Beet Salad. First of all, I love beets. Yum! Second, the dressing/marinade for this salad is wonderful. It’s tangy from red wine vinegar, which perfectly complements the sweetness of the beets. Last, but not least? It’s served over a bed of my favorite greens, delicious, bitter, arugula. Is your mouth watering yet?!? This recipe will make 2 lunch sized salads, or 4-6 side salad servings. 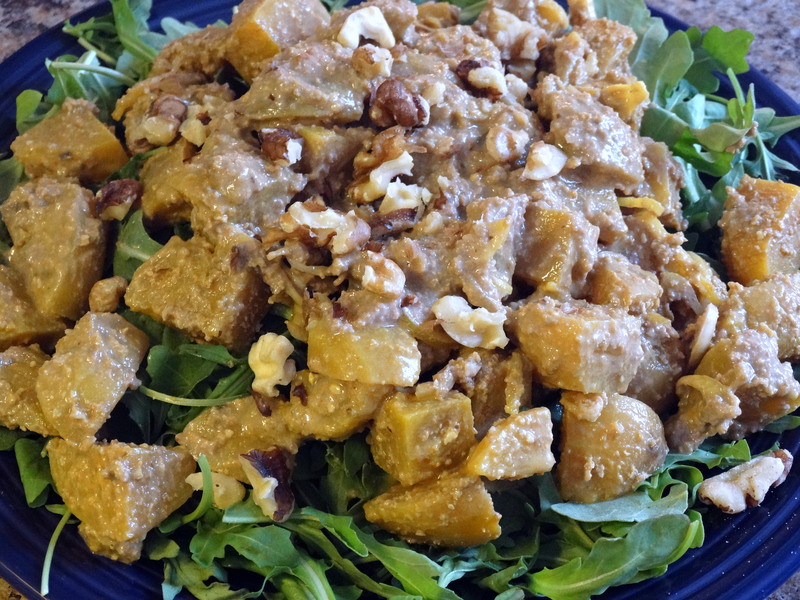 You will need: golden beets, olive oil, chopped walnuts, red wine vinegar, maple syrup, chickpeas, salt, fresh ground pepper, a shallot, and arugula. Preheat the oven to 350 degrees. Wash the beets, remove the ends, and peel them. Chop each beet into bite sized pieces, approximately 3/4″ x 3/4″. Place the beets in a 10″ x 13″ baking dish, then drizzle them with a bit of olive oil. Cover the baking dish with aluminum foil and bake for 35-45 minutes, or until tender. While the beets are baking, add 1/2 cup walnuts, 4 tablespoons olive oil, 1/2 cup red wine vinegar, 1 tablespoon maple syrup, and 1/4 cup chickpeas to a food processor or blender. Blend until puréed. Once the beets have cooked through, remove them from the oven and let cool. When room temperature, place them in a bowl and toss them with salt and pepper. Place the dressing in a medium salad bowl along with the sliced shallot. Add the beets, gently stirring to combine. Marinate the beets in the refrigerator for at least one hour or overnight before serving over a bed of 4 cups arugula. Top with remaining 1/4 cup chopped walnuts. Enjoy! 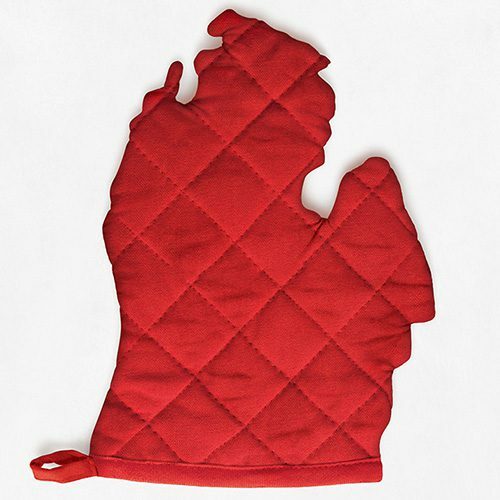 1) Preheat the oven to 350 degrees. Wash the beets, remove the ends, and peel them. Chop each beet into bite sized pieces, approximately 3/4″ x 3/4″. Place the beets in a 10″ x 13″ baking dish, then drizzle them with a bit of olive oil. Cover the baking dish with aluminum foil and bake for 35-45 minutes, or until tender. 2) While the beets are baking, add 1/2 cup walnuts, 4 tablespoons olive oil, 1/2 cup red wine vinegar, 1 tablespoon maple syrup, and 1/4 cup chickpeas to a food processor or blender. Blend until puréed. Thinly slice one shallot. 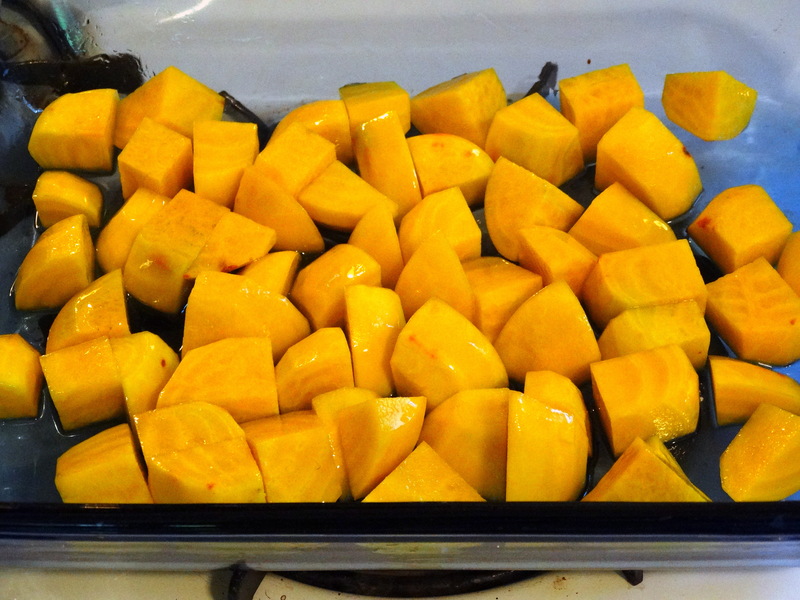 3) Once the beets have cooked through, remove them from the oven and let cool. When room temperature, place them in a bowl and toss them with salt and pepper. 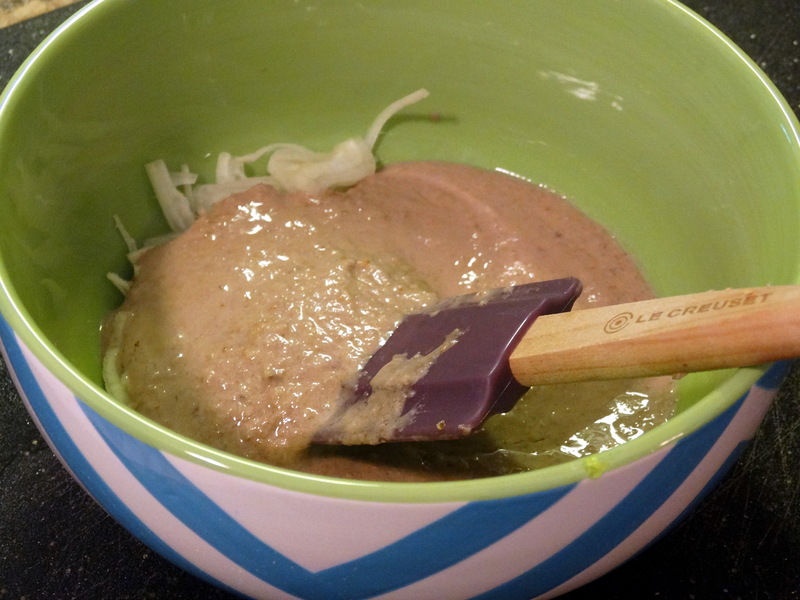 4) Place the dressing in a medium salad bowl along with the sliced shallot. Add the beets, gently stirring to combine. Marinate the beets in the refrigerator for at least one hour or overnight before serving over a bed of 4 cups arugula. Top with remaining 1/4 cup chopped walnuts. Enjoy! Where can I find golden beets in Chicago this time of year? Try Whole Foods or Mariano’s. 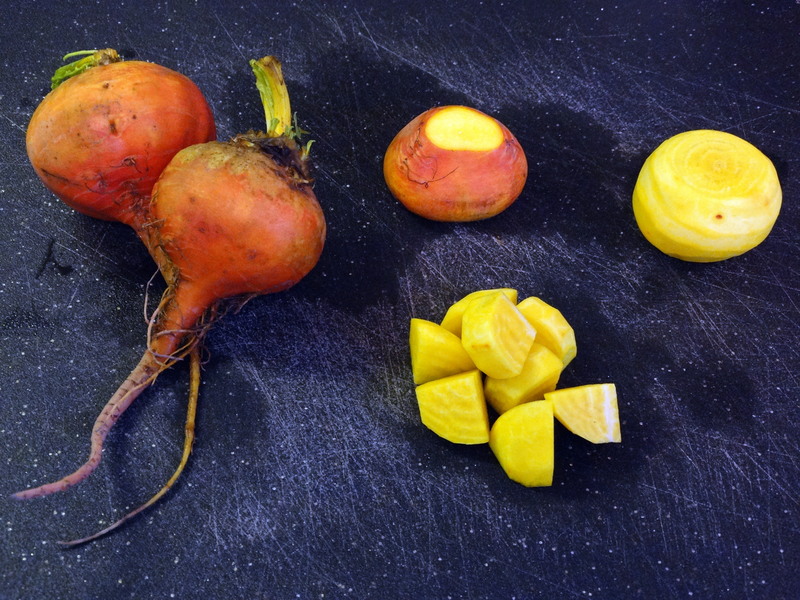 Red beets work well too if you aren’t able to find golden beets! We made this for a Memorial Day picnic, and it was a HUGE hit! To help with the preparation, you may want to add the scallion to the ingredient list and note that the chickpeas should be cooked, unless someone buys dry beans like we do. We will make this again! Thanks! Oops! Thank you for the heads up, Sylvia! I’ve adjusted the ingredients list accordingly. Glad you enjoyed it! I never thought to put beets on a salad like this before- great idea! If you’re interested, I’d love for you to share a post at the a blog link up I’m hosting today. All you need is a URL of a post you’d like to contribute. It’s a great way circle of bloggers! Can’t wait to try this! I’ve been ordering something similar at a restaurant near my home a LOT lately.